Foot in Mouth Disease is it Redeemable? Have you ever been in a situation where your brain and mouth did not connect before blurting out something shocking? Blame it on the spontaneity of the moment or what I call, foot in mouth disease. It is the end of the year and we all are working hard and just a little stressed. How does one come back from an emotional blurt out? Seriously we see politicians do it all the time. The capacity to recognize and understand your own emotions and those of the person you’re communicating with. Effective communication is a learned skill, it is more effective when it’s spontaneous rather than formulaic. A speech that is read, for example, rarely has the same impact as a speech that’s delivered (or appears to be delivered) spontaneously. Of course, it takes time and effort to develop these skills to become an effective communicator. The more effort and practice you put in, the more instinctive your communication skills will become and hopefully protect you from foot in mouth disease. Here is how to avoid the dreaded foot in mouth disease. When you’re stressed or emotionally overwhelmed, you’re more likely to misread other people, send confusing or off-putting nonverbal signals, and lapse into unhealthy knee-jerk patterns of behavior. Take a moment to calm down before continuing a conversation. Lack of focus. You can’t communicate effectively when you’re multitasking. If you’re planning what you’re going to say next, daydreaming, checking text messages, or thinking about something else, you’re almost certain to miss nonverbal cues in the conversation. You need to stay focused on the moment-to-moment experience. Nonverbal communication should reinforce what is being said, not contradict it. If you say one thing, but your body language says something else, your listener will likely feel you’re being dishonest. For example, you can’t say “yes” while shaking your head no. If you disagree with or dislike what’s being said, you may use negative body language to rebuff the other person’s message, such as crossing your arms, avoiding eye contact, or tapping your feet. You don’t have to agree, or even like what’s being said, but to communicate effectively without making the other person defensive, it’s important to avoid sending negative signals. If we only looked this cute, all the time! How do you redeem yourself? One way is to practice staying calm under pressure. Use stall tactics to give yourself time to think. Such as having a question repeated, or ask for clarification of a statement before responding. Pause to collect your thoughts. Silence isn’t necessarily a bad thing—pausing can make you seem more in control than rushing your response. It also allows you to gauge others following your initial comment. Deliver your words clearly. In many cases, how you say something can be as important as what you say. Speak clearly, maintain an even tone, and make eye contact. Keep your body language relaxed and open. Wrap up with a summary and then stop. Summarize your response and then stop talking, even if it leaves a silence in the room. You don’t have to fill the silence by continuing to talk. You may not be able to take your foot out of your mouth from a previous discussion without clarification later which endangers you for discussion of that same topic; however, it’s your decision to let it stay or redirect. As my Mom use to say, sometimes it’s best to let the dead dog lie. Which basically means, leave it alone, what’s done is done. What tactics do you use when you suffer from foot in mouth disease? Do you naturally use the above tips or is this something you’ve learned over time? Share your thoughts in the comments below. Author MiraPosted on December 9, 2015 December 10, 2015 Categories Management ExpressionsTags Business, business communication, communication, EI, Emotional Intelligence, foot in mouth disease, Leadership, Leadership development, Management, management skill setLeave a comment on Foot in Mouth Disease is it Redeemable? Many of us have been in the situation where we realize something for work after working hours. No time like the present, we let our smart phones do the walking and send our teams that late night email. It seems harmless enough but is it? A rare email after hours is harmless enough, however if it’s more habit i.e., several days in a week, a month; you’re hurting your team. Why you do you ask? Simply put you’re driving a 24/7 type of culture in your company. Your team will feel obligated to be “on” at all times versus the specific busy times. If late night emails are common behavior for you, you’re missing the opportunity to get some distance from work, and distance that is critical to a fresh perspective you need as the leader, while you are denying this same opportunity to your team. Let’s face it when the boss is working, the team feels like they should be working. All it takes is that one meeting where a few in the group voice, “when we were emailing last night…” or “we completed this over the weekend…”. This causes pressure for those who were not involved to be involved. Those start fearing, I will be poorly evaluated as a key member of the team/company if I’m not seen as committed as others. This is how the company culture begins to change. Experiments show that we need downtime, our bodies crave it. In fact if we don’t get that down time, adverse symptoms will start to show including, stress, insomnia, depression. Being “always on” hurt employee effectiveness long term. When employees are constantly monitoring their email after work hours, they are missing out on key down time that they need. Employees can never disconnect when they’re always reaching for their devices to see if you’ve emailed, don’t add to their device addiction – be opposite and foster a better culture and expectation. I had one boss, who held this conversation with me, and it stayed. ‘Lets work hard during the day, then enjoy your evening because you’ve earned it. It will all be here for you the next day don’t worry, it’s a never ending cycle.’ It’s like the old saying work hard, play hard – that’s the work-life balance we all crave. Creativity, inspiration, and motivation are your competitive advantage, but they are also depletable resources that need to be recharged. Incidentally, this is also true for you, so it’s worthwhile to examine your habits as a leader and ensure your not hurting your team/employees. A few helpful tips, if you are going to email at night – send it to draft and send in the morning. Resist the all appealing ‘send’ button. Or if your email client has a rule option, set up rules that emails from you after x time and before x time, be sent at 8:00am. Lastly, ensure your consistent with your employees by not rewarding them on late night emails and their expectations of an answer from you after hours. It’s important that if there is a dire situation or issue an employee knows they can reach you by phone. Walk the walk and set the standard leaders, your teams will thank you and you’ll have in return more effective and satisfied employees. I know I have had some of the best teams because of this one mantra I’ve held as a leader and manager. Granted some will continue the bad habit, you need to push as a leader this is not your expectation and work with your team to get them back to the work day productivity or reassess your teams assignments. What are some ways you can influence a change in your teams to stop the late night email cycle? Do you want to be a Leader, a good one? 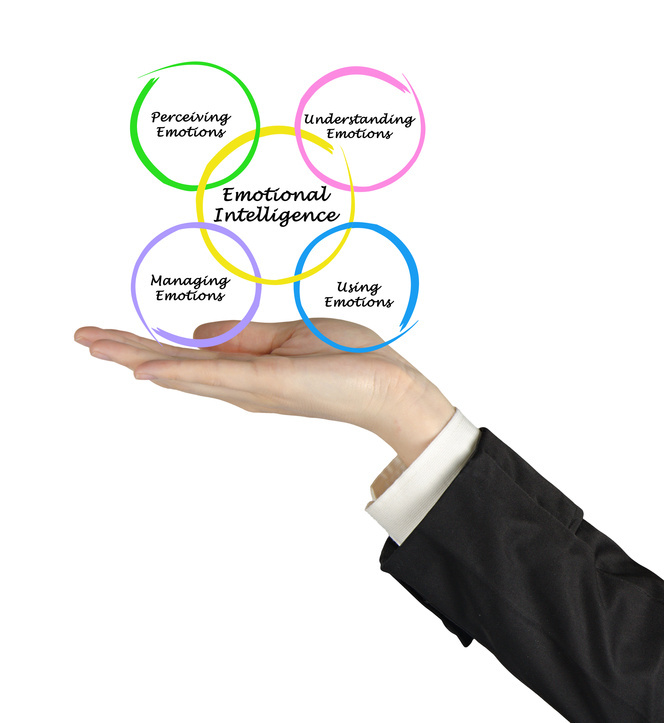 Emotional Intelligence (EI) is essential for success and should be in your development plan. There are a few who see the word emotion and begin to roll their eyes. Who wants to add emotions to the professional realm? Guess what? A leader should. This isn’t gender based. After all, who is more likely to succeed, someone who responds to stress with shouting and impulsive decisions, or one who can calmly and firmly assess the situation and manage the circumstances? EI is the ability to understand and manage your own emotions and those of the people around you. It’s not manipulation, it’s understanding and caring. Those with a high skill set of EI know what they’re feeling. They understand what their emotions mean, and how these emotions can affect other people, and they apply that understanding to those around them. How do you develop your EI? Firstly, be emotionally aware. Make an effort to pay attention to your emotions and behaviors, your actions and reactions. Consider how they affect you and those around you. This isn’t easy especially in the middle of a meeting when bad news is delivered. Take a pause and evaluate your reactions in front of others. Govern your responses. Hold yourself accountable. Being in control of your emotions and moods is a basic responsibility, especially as a leader. When you can regulate your responses, you avoid making knee jerk decisions in the heat of the moment. This becomes easier the more you allow for pauses and in turn you control your state of mind. Lastly, be confident in yourself and your team. In tough situations if your doubting you and/or your team it shows. Master the inner critic, be decisive while empowering your team in that same manner. Those with strong EI are typically respectful of others. Rather than focusing on your own success, help others develop and shine by respecting their strengths and talents. Remember that to give respect is to get respect. People with high EI are usually successful in most things they do. Why? Because they have a deep understanding of self and they make others feel good about themselves. Building strong EI will not only impact your leadership skill set, it will add value to your life. Don’t strip emotion away for the sake of an ideal of what is ‘professional’, it’s a balance, after all we’re all human and to be human is to be emotional. What are you going to do to up your EI over the next week? Sharing is caring. Let me know if you enjoyed this post, click ‘like’ and/or ‘comment’ below. Congratulations you’ve landed that new job and pastures are greener. Or, perhaps you hate your job or your boss. Let’s be honest here, you’re so ready to give your two weeks’ notice. Part of you is channeling Johnny Paycheck and singing ‘Take This Job and Shove It’ routine. Nonetheless, quitting your job can be awkward and uncomfortable—and if you don’t do it well and have a plan, you might end up burning bridges and sacrificing valuable references down the road. 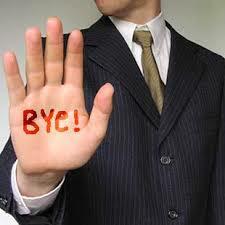 Regardless of what had you search out a new opportunity, exit the right way, with class and a plan. If you’re not sure how to go about it, here are three easy steps. #1 Set a firm date for your last day of work. Once you’ve got that date, compose your official resignation letter no one wants an email that says, BTW, X Date is going to be my last day. Ensure to be thankful for your time and experience you’ve gain while in employment there. Make sure to give yourself enough time to tie up any loose ends and train your replacement, if necessary. Finally, schedule a time and date for meeting with your boss to break the news. If you’re pressed to reveal why you’re calling a meeting, you can say it’s just a general check-in— keep it vague. Make sure you have a printed, signed copy of your letter to hand over to make it official. Up until this point, the quitting process has been easy peasy. However, when it comes to telling your boss that you’re out of there, it can get a little more intimidating. #2 Have the “I Quit” meeting. There is no script to these discussions. Until you’re in that conversation, you’ll have no idea what direction the conversation will take, how much begging for you to stay, and inquiries about what you’re doing next. Begin with a reason that you feel comfortable sharing, like “I’ve been offered an opportunity I want to pursue.” Your employer isn’t entitled to know where or why you’re moving on—simply when. No matter how the conversation goes, it’s important that you don’t feel guilty about moving on or feel like you need to over-explain. In fact, the mantra is to keep it simple: It’s not personal; its business. No matter how close you are to your boss or how irreplaceable you think, you are—your boss will find a new person to fill your role. No-one is irreplaceable. Keeping this in mind will help create some distance between you and your job, making the conversation a little easier. The more professional and respectful you keep the conversation, the easier it will be to leave your boss with a great impression. They will remember the great work you did; not just how you left. And down the road, if a potential employer calls your boss or you want to request a reference, you’ll be in the clear. #3 Be as helpful as possible, as you finish your last few weeks. Work your transition plan and distribute your unfinished projects to colleagues, along with sufficient descriptions of your progress so they can pick up right where you left off. Treat your colleagues how you’d want to be treated if you were in their shoes. If they’ll need background information on certain clients or projects, forward important emails and introduce folks who haven’t worked together before. Then, and as you prepare to leave the office for the last time (after your resignation has been officially announced), send an email to your colleagues. A short, sincere note will help you avoid any bridge-burning and will keep your network strong. When it comes to leaving a job (especially a terrible one), you may be tempted to go out with a bang. But quitting with grace and professionalism, and a well-thought out plan, will help you infinitely more, in the long run. You never know who you may run into a colleague or former boss later in the future, especially if you stay in the same industry. Comment if you’d like to add any words of wisdom when resigning and if you enjoyed this blog let me know by clicking on “like” and/or “share”.